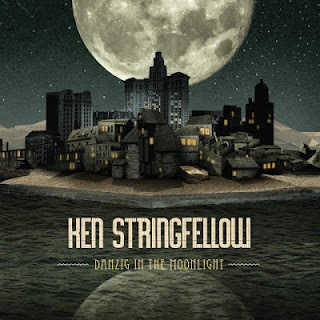 Early November, Eva Auad joined Ken Stringfellow on his first 6 shows for his Benelux playlist. Six small and intimate shows. Well ok, first one in Paradiso, Amsterdam was with full band but still on the smaller stage of the venue. Stringfellow co-produced Eva's album and asked her to join him on his solo shows while promoting his own album. Eva appears on 2 songs on Stringfellow's album. You can download the song following this link (click on the small down-pointing arrow). The full show, interviews and the other songs, can be found on this page. November 29, Ken & Eva will do a show for Ziggo Live (TV), followed by 2 support act shows for De Dijk in Groningen (Nov 30, Dec 1). Content © 2012 Basta Music. Simple theme. Theme images by Ollustrator. Powered by Blogger.